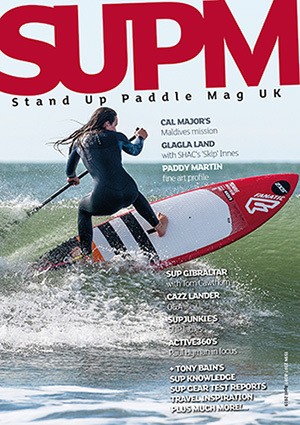 As stand up paddling continues to evolve, SUP photography is very much ripe for the plucking –there are currently only a global few who specialise in capturing iconic SUP images. The UK’s scene is smaller still but there are a number out there snapping away. One such individual is Joseph Bishop. Joe, from sunny South Devon (although based in London), is one part founding member of Waterborn SUP and is regularly out in the lineup with his lens trained on home grown riders. (He’s also the chap responsible for Marie Buchanan’s cover shot that adorned our March issue). We caught up with Joe for a natter. 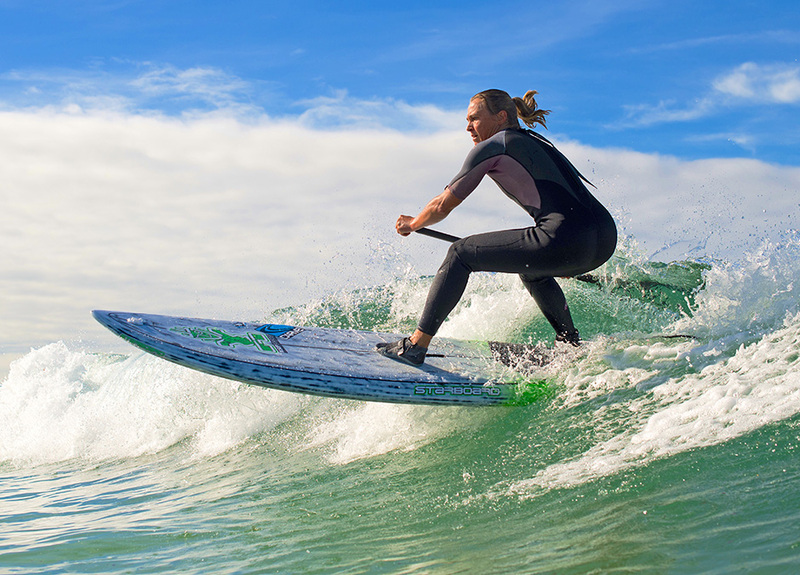 How did you get into stand up paddling? What captured your imagination and inspired you to start sweeping? 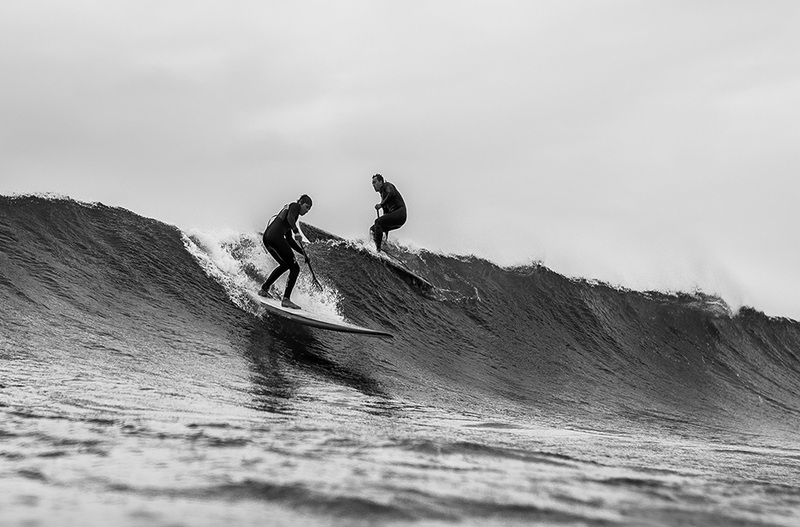 When my oldest friend Ollie O’Reilly first mentioned this new sport where you stand on a board with a paddle, and that he wanted to start a school, I was pretty sceptical. It was his clear love for the young sport that convinced me to give it a try and I’ve loved it ever since. I think the initial shock that ‘this is pretty good’ was a big factor in my passion for SUP, as well as no one really knowing what it was at that time – it felt like being in a special, privileged club. When did you first start paddling and what are your chosen conditions to paddle? 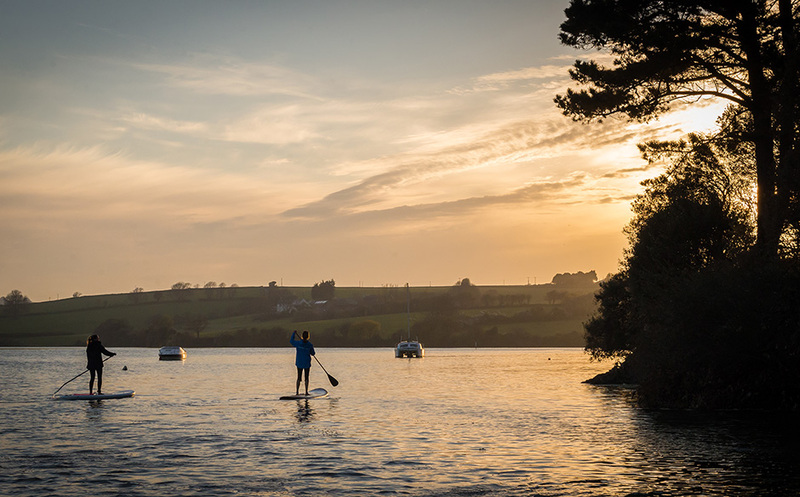 My first paddle was down the Kingsbridge and Salcombe estuary. We launched from the Crabshell Inn and paddled all the way to Salcombe and back. I was on one of Starboard’s early all-rounder boards and it was a little heavy but glided really well. What shocked me was the complete serenity and natural feel of it all. Other than our conversation, we were silent; I’d never experienced the estuary like that. At which point did you decide taking photographs of SUP was a good idea? 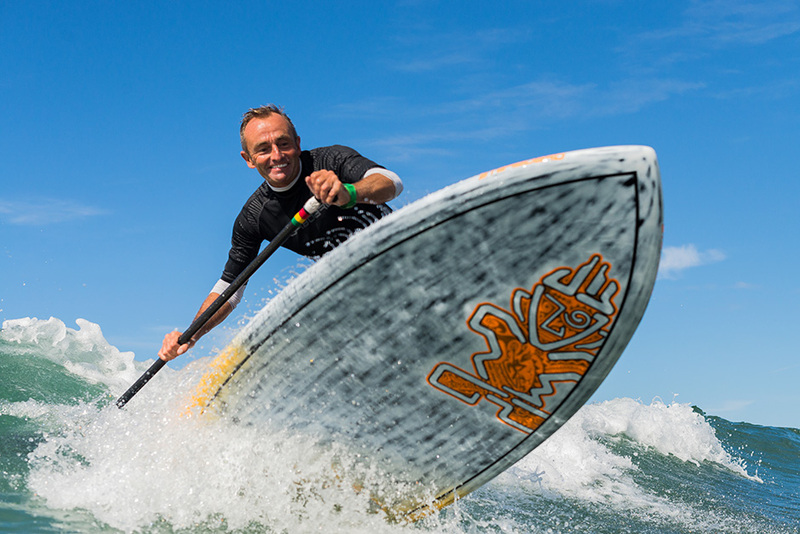 After a summer of getting to know the sport, both surf and flat water, and when Waterborn launched, there just seemed to be a natural calling for good looking, local shots to show off both the school as well as the sport in a wider sense. I was shooting in the Faroe Islands and after a Facetime with Ollie and Waterborn, we decided it was time for me to get into the water instead of being on it.SUPing. Worth a thought. Where’s your favourite location to work? Do you look for specific backdrops or is it more about what’s going off on the water? It all depends on what you want to achieve and what the conditions and weather will allow. I love either great weather or thundering storms, because you get different types of drama in each; anything in the middle tends to create samey, boring results. Bantham is the beach I grew up on and so is very special, not to mention the backdrop of Burgh Island and the close headlands. It can look epic and stormy one day, and tropical the next. How often are you out snapping and what type of weather do you prefer to shoot in? I’m out on the flat a lot more than in the surf, solely because there isn’t always a wave, but I definitely prefer good weather. Storms are epic and impressive but rain adds other variables and visibility issues that can ruin great shots. How easy is it to nail that shot? Are there any specific riders you like to work with who make hooking that winning photo an easier task? I’d say it’s a combination of trusting the rider, thinking about what you want and a pinch of luck. I like to get really, really close, sometimes being hit (carbon fibre hurts); it boils down to trusting the great riders you’re shooting. A lot of my friends are fantastic riders – people like Ollie O’Reilly, Robbie Graham, Simon Harrow and his son Louie just look great on a wave and really know how to stand and look when I’m bobbing in the water. Obviously pros like Marie Buchanan tear it all day long so that helps you out a lot. Talk us through your tools of the trade. What rig are you using and why? A full frame DSLR in the water is pretty much a winner coupled with either a 50mm or 35mm lens. With regards to housing, Aquatech Elite Sports housing range is so trustworthy and reliable in the bigger stuff, but I often use EWA-Marine flexible housing – you don’t have to worry about ports or what camera body you’re using so it gives the ability to experiment with new gear. Do you use action cams? What’s your opinion of the whole action selfie shot culture we now have within extreme sports? Are you a fan of snapping from the water or do you prefer being on land? Always in the water. It’s just so much more fun, and if you’re actually loving what you’re doing then the result will always be better. Talk us through a typical day shooting – how does it begin and what signals the end of play? Check the weather and conditions; if that’s all good then get out on the water. Obviously everything is subject to change, but it’s good to get an idea of what I want in terms of shots, such as two or three riders on the same wave. If that stuff is half planned before, at least you have a jumping off point. The end usually comes when the conditions die off or fatigue kicks in. I’ve been in the water for five or six hours before and loved every minute purely because the results we were getting were awesome. You just play it as it happens really. Where do you see your SUP photography heading? Do you have any particular aspirations for your work? I’d like to shoot some really, really big waves, just to get some shots where people say ‘jesus’ at the size of the wave would be awesome. On top of that I’d like to do a collection of the best surf spots and riders around the world. I want to get in the water in the Antarctic and photograph riders carving waves with penguins in the background. Can you see stand up evolving like surfing where specific photo personalities exist – solely making a living from shooting paddlers? I don’t see why that won’t happen. The versatility of the sport means there are near limitless possibilities in terms of scenarios and shots, plus with companies like Starboard ploughing so much money into research and development, always trying to get better, the boards and paddles are always changing so there will be a constant need for new images. Any top tips or advice for anyone thinking of getting into SUP photography? Use your friends. If you have friends that ride waves or just flat water paddle then get in the water and start taking photos. Just having their photo taken will be enough payment plus you can experiment and not worry about the result. Once you have a winning technique and style and you know how to set up your shot it will be a lot easier when shooting a pro. Who are your favourite photographers (sport or otherwise) and why does their work appeal to you? I really love Russell Ord’s work in the water. He captures these massive Australian waves sometimes completely enveloping the rider. They just look epic. Ben Thouard is always on point with awesome action shots, especially of SUP. In terms of non-water sports photogs, I have always had a deep affinity with Sebastião Salgado’s work. His collections are often poignant and harrowing, but still retain so much art and tone. I really encourage everyone to look at his back catalogue like Workers and his new book Genesis. How do you see the state of stand up paddling in the UK? 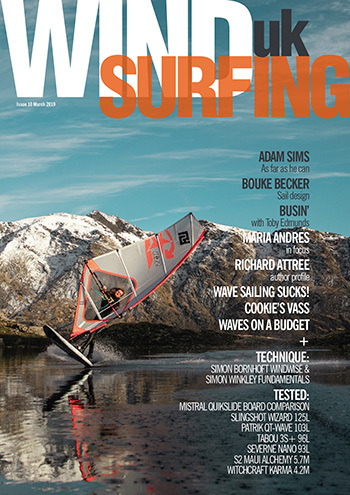 Do you agree with all the hype that it could be the biggest global watersport? Totally agree. For me the biggest draw has been the versatility and the accessibility. When shooting for Waterborn, I became a BSUPA certified instructor and to see the huge range of people take to the water and love it is testament alone to the scope and attraction of the sport. 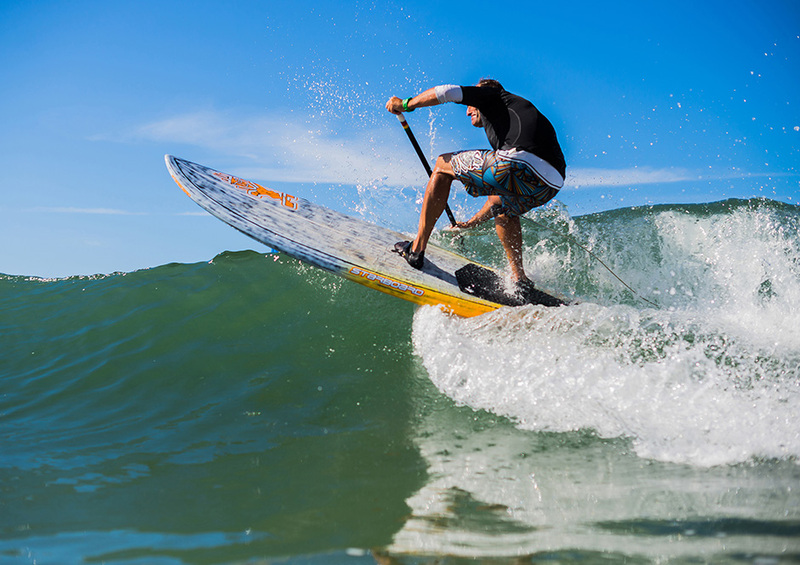 With the surge in popularity of inflatable boards and their increasing quality, SUP is even more accessible and affordable than ever. Talk to us about your work with Waterborn SUP. How did that come about? So when Waterborn was founded there was an obvious need for advertising. The sport was still relatively young and just explaining it to people didn’t really cut it. Taking photography into the water seemed like a logical step and it has paid off massively. 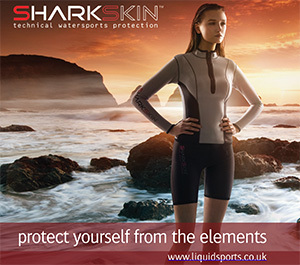 Ever since, I’ve accompanied the Waterborn competitive team to photograph them at the Club Championships at Eton Dorney, the Surf Champs in Newquay and travelled to Costa Brava for Starboard’s World Developers’ Conference. 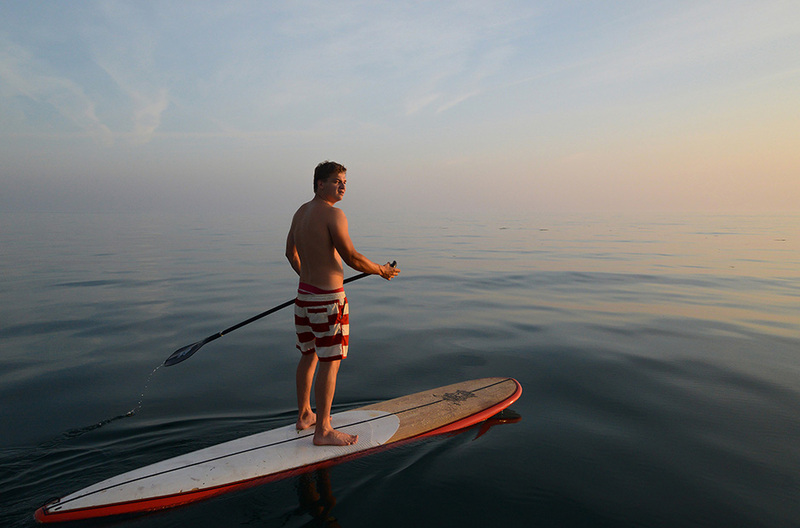 What are your personal SUP development plans over the coming months? Anywhere specific you’d like to check off your bucket list? I’d really like to improve my own paddle surfing. I’ve spent so much time in the water photographing other people; I’d like to take the time to get up to a better standard myself. I’m heading out to Bali soon, which will be great to experience the Indo waves and waters, so I’m really looking forward to that. I’d love to do a pacific tour, Mexico, Hawaii and then the smaller islands, as well as the USA. Can paddlers hook up with you for a shoot? If so how would they go about this? Yeah definitely. They can go through the contact page on the website or email directly on joseph@joseph-bishop.com and we can arrange a day in the waves. It’s also worth checking with Waterborn, as a lot of the time I’m photographing group SUP lessons or tours. Waterborn SUP of course! And Starboard for having great team riders and fantastic gear – just a fantastic company all-round actually. They’re always pushing it and keeping the SUP world in the loop on Instagram, Facebook and Twitter. How can paddlers see your work?